Regardless of size, your meeting rooms are where decisions are made, deals are signed, and breakthroughs emerge. As the hub for communication, your room should be done your way. 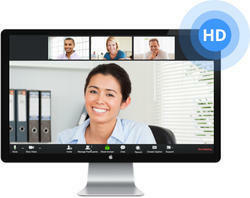 Check out video conferencing, collaboration and audio solutions from a few of our partners like Polycom, Cisco,Zoom, Avaya, StarLeaf and LifeSize – or start designing your room today! 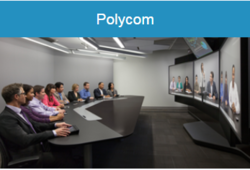 Polycom video conferencing and telepresence solutions keep things simple without sacrificing flexibility and functionality. They make it look easy so you can look good.